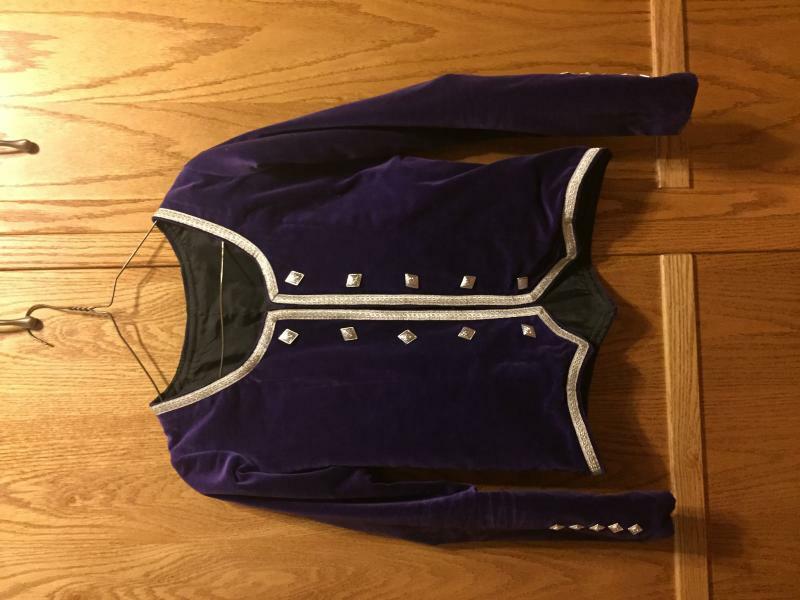 dance.net - Purple highland jacket (10244115) - Read article: Ballet, Jazz, Modern, Hip Hop, Tap, Irish, Disco, Twirling, Cheer: Photos, Chat, Games, Jobs, Events! Only worn once by 12 year old. 23" from shoulder to bottom of sleeve.